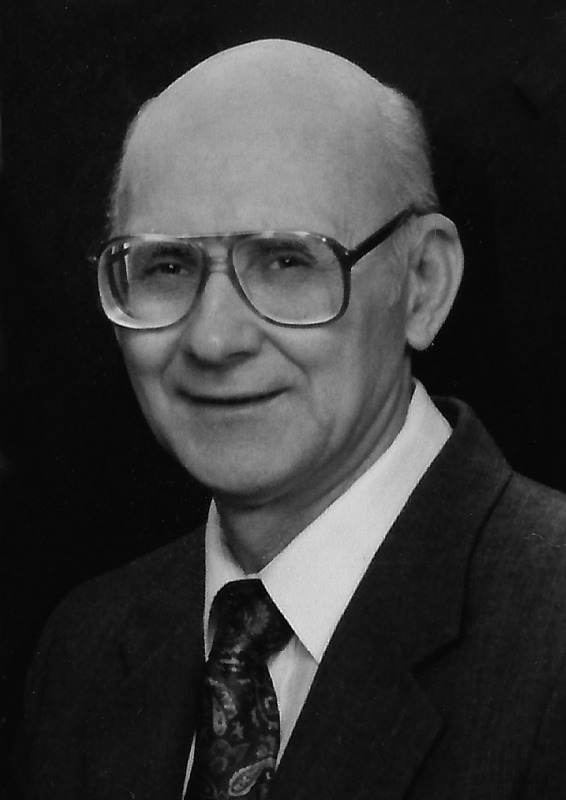 Ivar Gene Fowkes of Mesa passed away December 9, 2015 at age 78. A devoted family man, Gene was a loving son, husband, father, grandfather and great-grandfather. He was born on Christmas Eve in 1936 in Evanston, WY. He grew up working his parents’ sheep ranch with his two brothers in Almy, Wyoming. After graduating from Evanston High School, Gene attended Brigham Young University. He graduated with a Bachelor of Science in Mechanical Engineering. He later earned his Master’s Degree in the same field from Rensselaer Polytechnic Institute in 1970. Gene married his college sweetheart Deanna Tolley in the Salt Lake Temple in 1959 and the couple had six boys. He began his career in San Diego, CA in 1959 at Convair Astronautics where he worked on the Atlas missile. In 1965 he moved his family to Connecticut where he worked for Pratt & Whitney Aircraft. In 1976 another move brought the family to Arizona and employment successively with AiResearch, Garrett, and AlliedSignal, retiring in 2000 from Honeywell. During his career in aerospace engineering, Gene developed new engine technologies and holds several patents in his name. A member of the Church of Jesus Christ of Latter-day Saints, Gene served most of his life in various callings including ward clerk, bishopric counselor and stake executive secretary. A quiet and gentle man, he set an example of faithful Christ-like service throughout his life. Gene loved to play basketball and did not throw in the towel until he was 60 years old. He passed this love on to his five living sons, his own personal basketball team. Gene was a sports fan who also enjoyed reading, listening to music and tending the flowers in his back yard. Gene is preceded in death by his parents Charles and Signe Fowkes, brother Bill Fowkes (Ft. Worth, TX) son Erik Scott Fowkes, and great-granddaughter Moira Kathleen Knight. Gene is survived by his wife of 56 years, Deanna Tolley Fowkes; sons Gary (Ann) Fowkes of Gilbert, AZ, David (Leilani) Fowkes of Elk Grove, CA, Roger (Kathy) Fowkes of Mesa, AZ, Brian (Kristy) Fowkes of Gilbert, AZ, and Kevin (Laura) Fowkes of Parker, CO; brother Jay (Ione) Fowkes of Santaquin, UT; 23 grandchildren and 10 great-grandchildren. A viewing will be held on Thursday, December 17, 2015 from 7-9 PM at Bunker’s Garden Chapel, 33 N. Centennial Way, Mesa. Funeral services will be held on December 18, 2015 at 10 AM at the Church of Jesus Christ of Latter-day Saints, 4640 East Holmes Avenue, Mesa. A viewing will be held prior to the service from 9-9:45 AM at the church. Gene’s wife and family extend their deep gratitude to Silver Creek Inn Memory Care Center and East Valley Hospice for their excellent and loving care during Gene’s long journey with Alzheimer’s.